Description: Fabulous, recently updated custom built 2 story walkout on a 2.11 acre lot. Located at the end of the cul-de-sac in a private 50+ home subdivision in tayor creek woods. Beautiful open floor plan with lots of windows, vaulted ceilings, skylights and a professionally installed home theater system. High efficiency/dual fuel hvac system keeps costs to a minimum. Updates include high efficiency windows, asphalt roof, gutters, sky lights, carpet, interior and exterior paint. 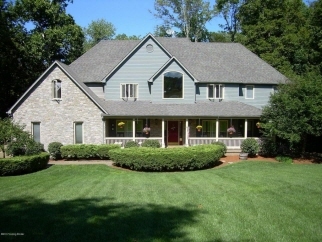 Large backyard with a spectacular view from multi-story deck onto private woods, wildlife and creek. A nature lovers paradise. Award winning public school system from elementary through high school. Data believed correct but not guaranteed. Buyer to verify data prior to offer. Agents read agent remarks.